Houses, Farms, Commercial Property, Vacant Stands,…you name it. 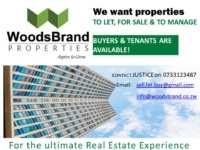 We are looking for immovable property TO LET, FOR SALE & TO MANAGE. AREAS: All provinces & areas in Zimbabwe. Our office is based in Harare CBD. WE HAVE SERIOUS BUYERS & TENANTS! 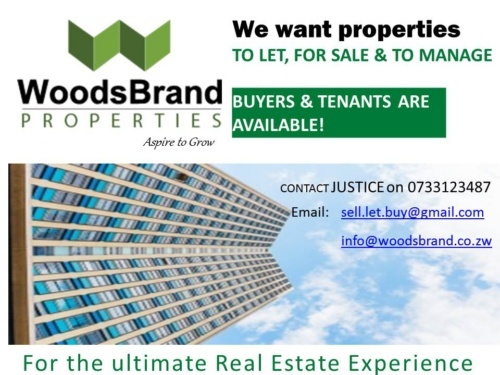 For those looking to buy or rent contact us with your requirements.